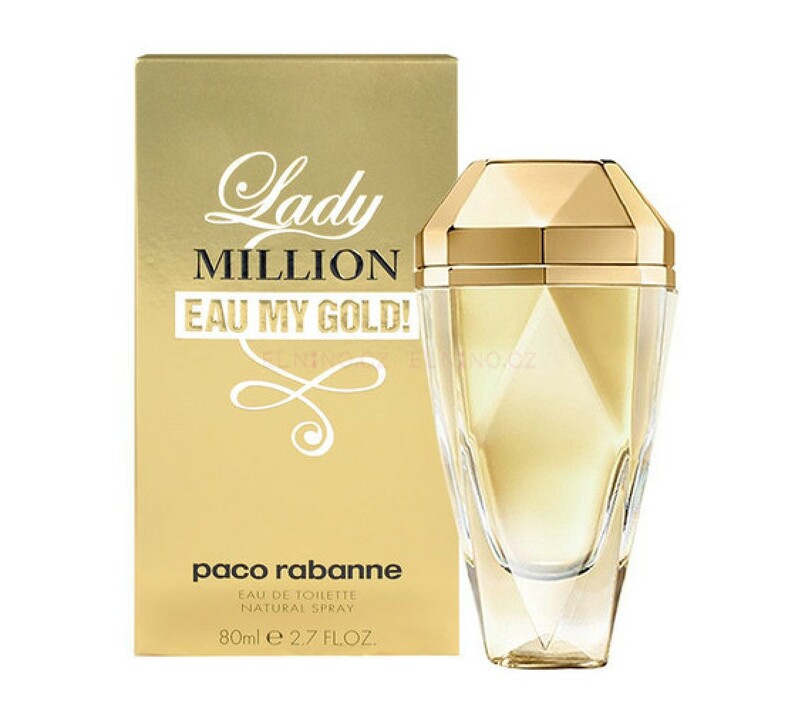 Lady Million Eau My Gold [Released 2014] By Paco Rabanne for Women. Luxury and hedonism that the original represents have been replaced by inspirations of festive mood and somewhat simpler pleasures. The composition is created by Anne Flipo with upper notes of mango, neroli, bergamot, mandarin and grapefruit, upon the heart of violet leaf and orange blossom. The base is warm due to notes of musk, amber, sandalwood and cedar. For this new edition of Eau de Toilette, the diamond-shaped bottle is elongated and became almost totally transparent. When you remove the stopper, the inscription "Eau My Gold!" is revealed. Dree Hemingway was replaced by Czech supermodel Hana Jirickova as the face of the perfume. The commercial is directed by Alexandre Courtès. The fragrance is available as 30, 50 and 80ml Eau de Toilette.